BALTIMORE — Telemedicine is the hottest trend in the healthcare industry, and it is becoming more and more important to healthcare providers and patients around the world. According to medical professionals present at this year's ATA 2014 conference, telemedicine is the future of the healthcare industry. The trend is already backed by many hospitals and major health insurers, and the U.S. government recently endorsed telemedicine through Medicare and Medicaid. "Today, 20 million Americans get some part of their healthcare remotely, and that number will grow as telemedicine expands its reach," said ATA Chief Executive Officer Jonathan D. Linkous. While these services will not replace all in-person visits with providers, they have the potential to be an exciting alternative with the glory of saving money. According to many medical professionals at ATA 2014, the practice screams efficiency and convenience. "Telemedicine is becoming normalized in our hospitals, in our community and, increasingly, in our homes," said ATA President Edward M. Brown, M.D. With the convenience of telemedicine, patients can see doctors in their homes, offices or a dedicated center, whereas doctors can remotely treat patients from hospitals, medical facilities, homes, etc. 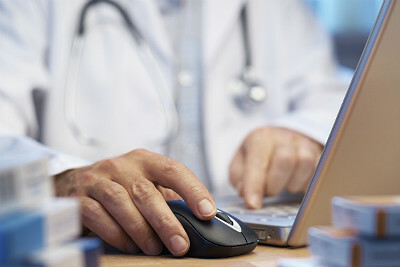 Being able to connect with physicians at any time and place is the most appealing aspect to patients. The hours of telemedicine can potentially be 24/7, 365 days a year. "We are at a time where telehealth is in the news," Linkous said. "It is growing like we have never seen it before. We have the tsunami that's coming, and we are all here waiting for it." Real-time services: Providers interact with patients in real time to provide services as a substitute for in-person encounters. Access to data: Providers are able to analyze clinical data after it's been collected using several communication tools. Remote monitoring services: Providers can continue to track healthcare data for a patient while he/she is in his/her home or care-facility, lowering the amount of readmission rates. Telehealth services are beneficial in efficiency to both providers and patients alike. With the availability of having a specialist at their fingertips, patients across the country can ensure that they will receive the specialist they need, regardless of location. It allows providers to see more patients in a slotted time frame during their day. It also reduces the need for both medical staff and patients to travel long distances in order to see their specified provider, lowering stress levels. "Telemedicine can also be used to provide rapid-response services and clinical care to patients, saving valuable time in an emergency while potentially reducing the number of hospital admissions," Ian Jackson, managing director at Imerja, told MedCity News. "In some cases, this can also decrease the length of time required for after care, helping to minimize morbidity and mortality rates caused by certain conditions." Telehealth is currently becoming a large trend within the U.S. but has the potential to become the only way patients and healthcare providers operate in the near future. It's creating a way to expand what providers are able to do in a new way. Brown pointed out during ATA 2014 that remote patient monitoring now constitutes a $1.2 billion market globally, with 50 percent growth projected each year. He predicted that "within the next five years, more than 50 percent of healthcare delivery will be virtual," further blurring the lines between telehealth, telemedicine, digital health, mobile health — and, quite simply, healthcare in general.